Boston is one of America’s oldest cities and it is full of not only history and education but also family fun. 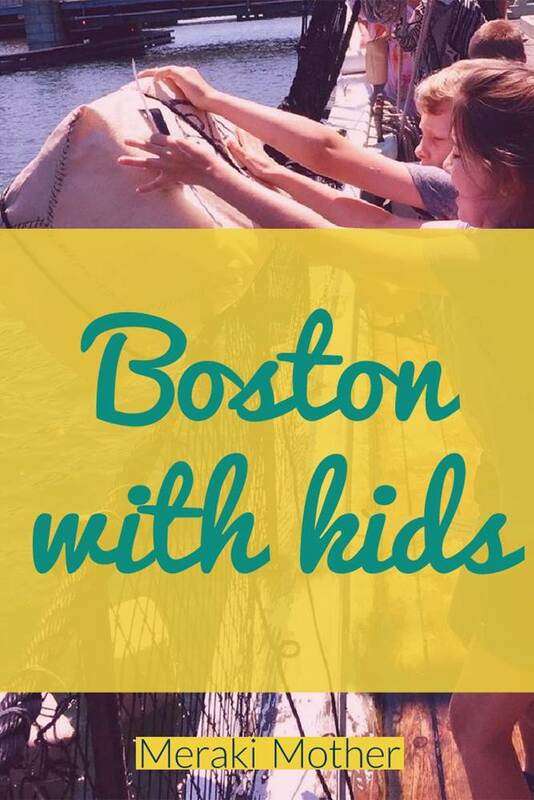 There are so many things to do in Boston with kids that it can seem overwhelming, especially if you’re only there for a few days. 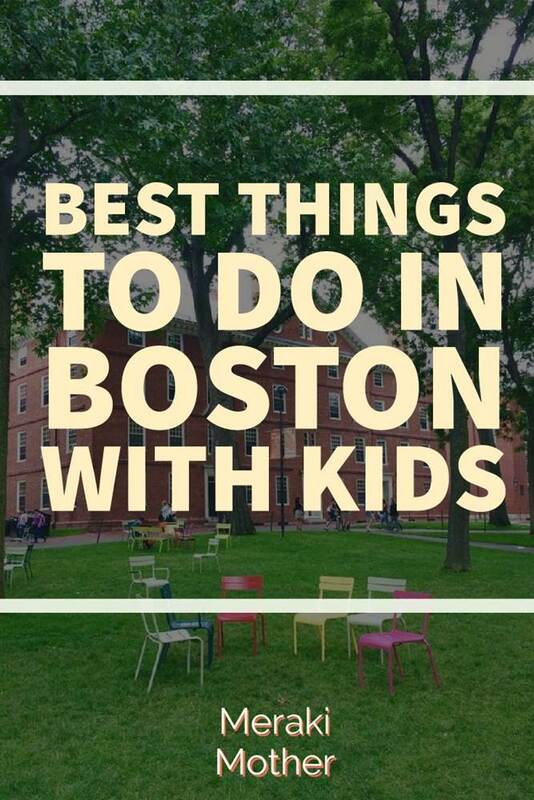 We’ll help break it down with the best kids activities Boston has to offer. 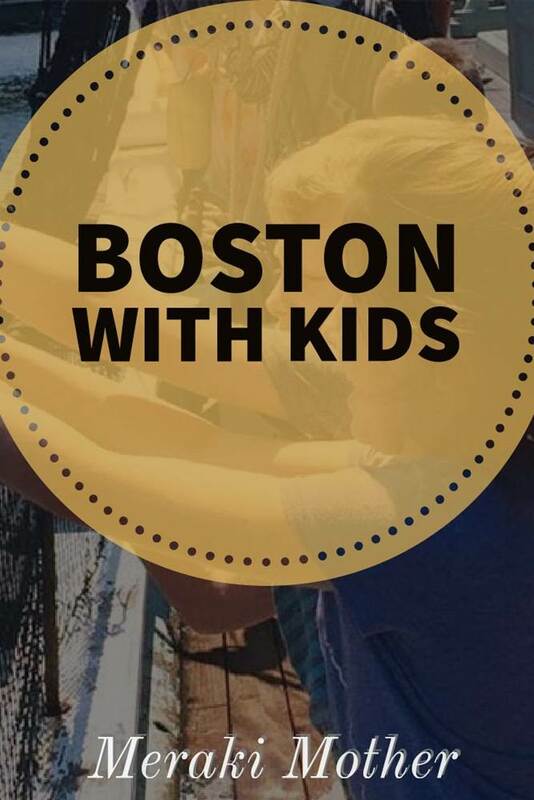 Boston is easy to get around with kids and has plenty of parks for good weather and indoor activities for the colder months. Boston combines culture, history, education, food and fun in a city that oozes charm. There are many beautiful neighborhoods in Boston with their own unique qualities and offer something different. Beacon Hill, a little neighborhood with a big history, overlooks the nation’s first public park. Back Bay, with charming Victorian houses, shopping, and restaurants. And downtown, where you can see most of the major historical sites in Boston. Four Seasons Boston: Stay in Luxury at the Four Seasons Boston, where the kids will be spoiled with toys, cooking classes, and tiny robes! 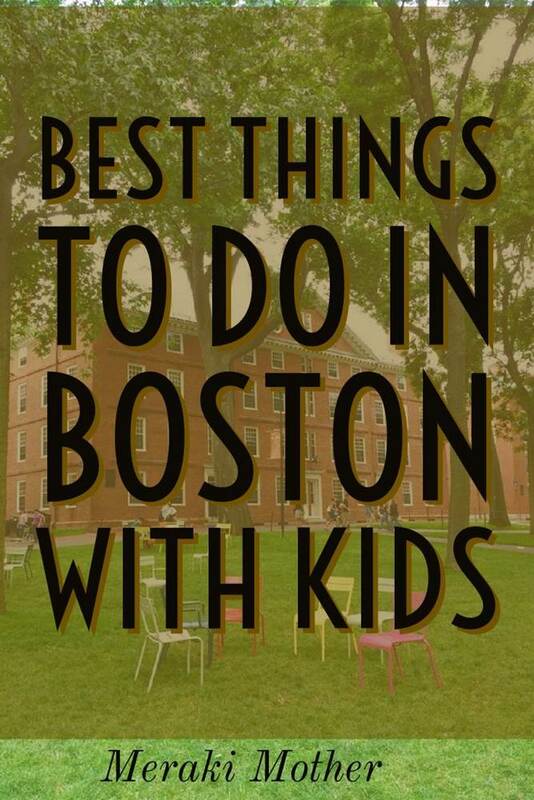 This is a great location downtown for all the things to do in Boston with kids, such as the Boston Common. Boston Marriott Long Wharf: This hotel provides a great view as well as a great location to Quincy Market and the Freedom Trail. 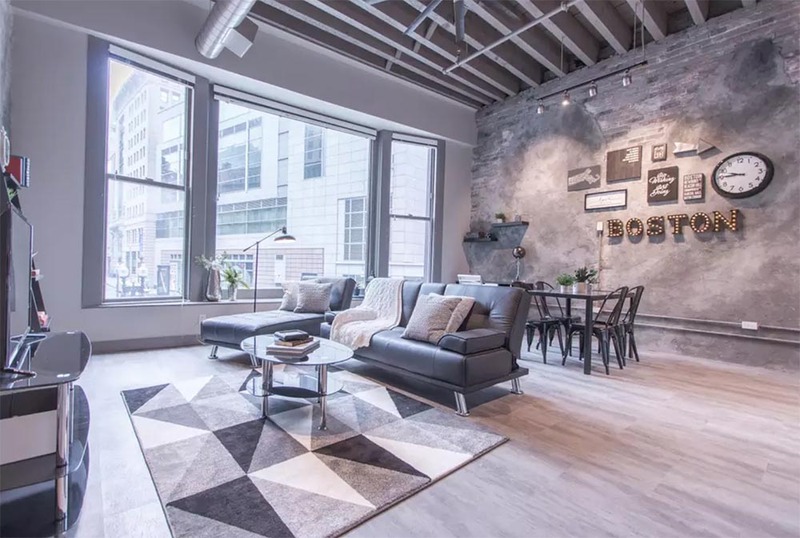 There are also some great options in Boston for Airbnb which can be a great option for families with multiple children. It’s so nice to have a kitchen to cook your own food to save some money while traveling. 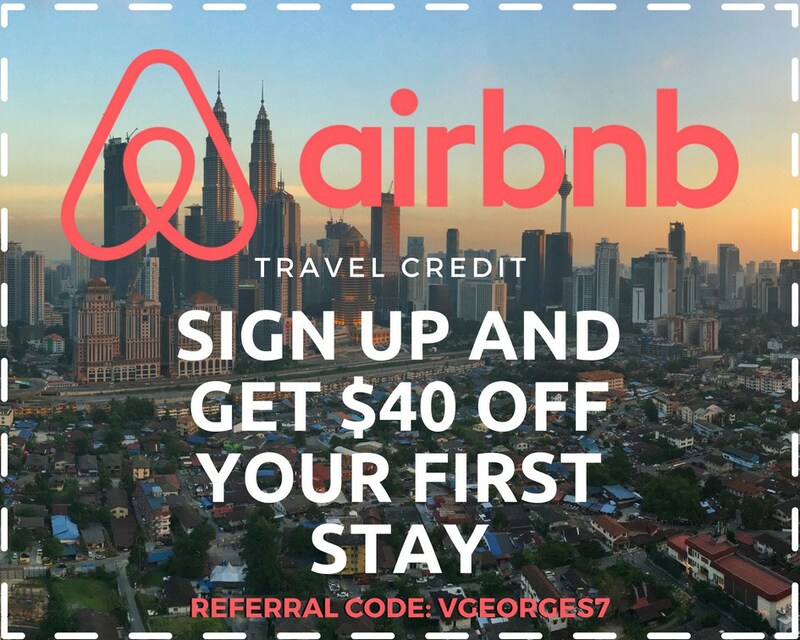 Be sure to sign up and use this $40 off coupon! 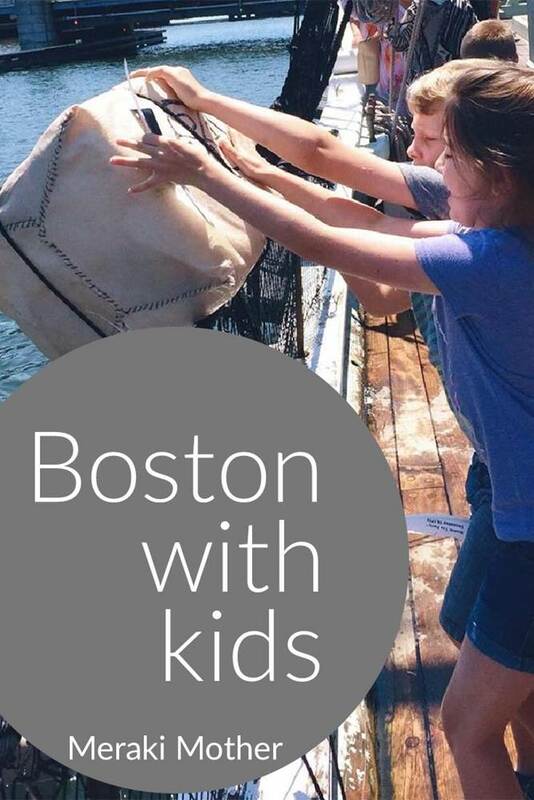 With so many things to do in Boston with kids, it can be tough to narrow down the best family-friendly activities for your visit. These are my favorites and you really can’t go wrong with any of them. This one I feel is a must when visiting Boston. This free 2.5-mile red brick trail runs through the heart of the old city of Boston and is one of my favorite things to do in Boston with kids. You can easily walk this with a stroller and little ones in tow, but it may be best to break it up into two days. You can take a guided tour with costumed historians who know their stuff and keep it fun for the kids! You can explore the trail or book a tour here. Boston is a great city for families not only because of the history but because it’s full of awesome museums that are perfect for kids, especially in the winter when it’s just too painful to be outside. 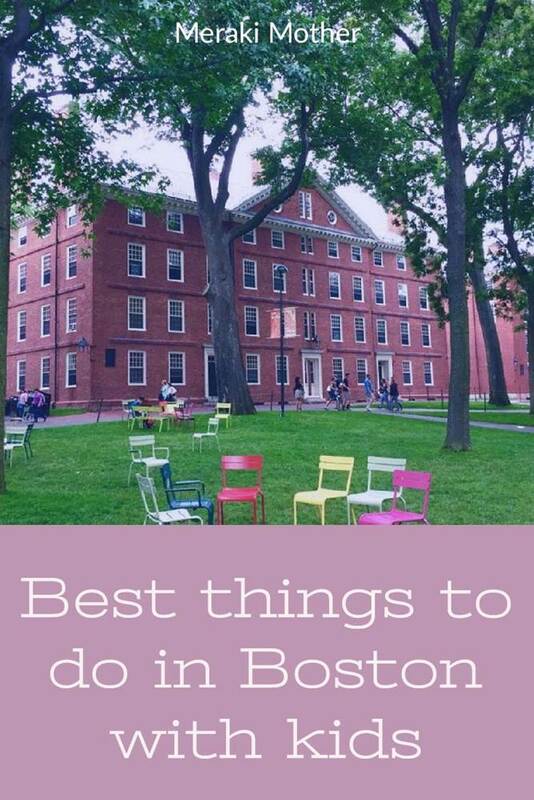 These are some of my favorite museums when you visit Boston with kids. Founded in 1913, the Boston Children’s Museum is one of the oldest children’s museums in the world. The three-story New Balance climbing structure, entire Japanese house, and a full program of daily activities will keep the family busy for the whole day. On Fridays from 5pm-9pm entrance is only $1. The Museum of Science will provide hours of entertainment with their Investigation Station, where kids can play scientist, or watch the lightning bolts made by the world’s largest air-insulated Van de Graaff generator. With live animal exhibits, IMAX theater, butterfly garden, and planetarium, you could honestly spend an entire day at the Boston Museum of Science! This unique immersive experience requires several hours. 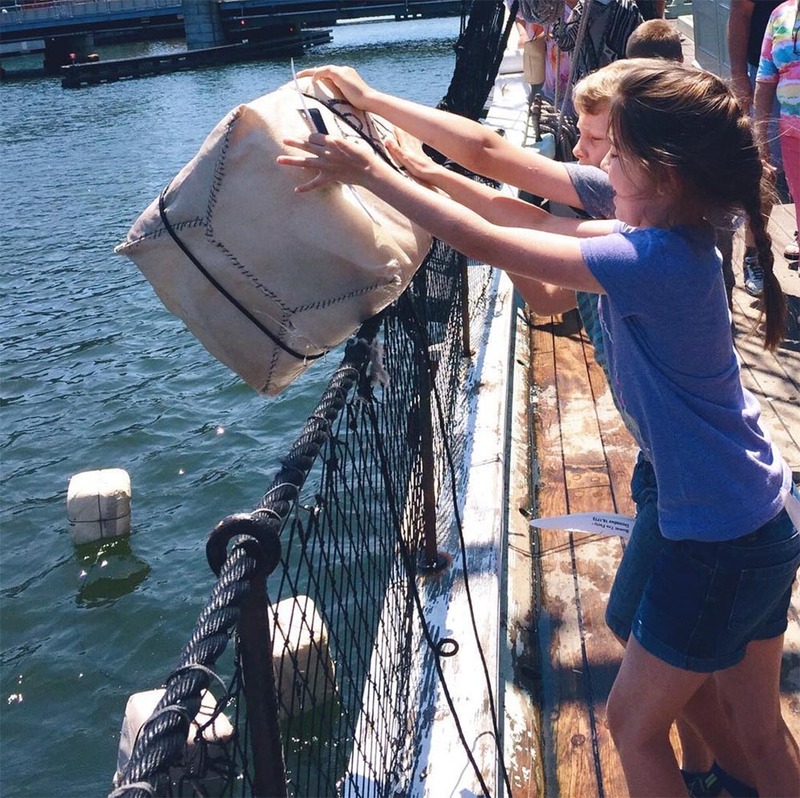 At the Boston Tea Party Ship and Museum, you and your family members will become rebel colonists and find out if you lived or died during the revolution. You can throw tea off the boat and be dazzled by amazing period actors that will transport you back in time. Kids will learn history without even knowing it! Watch this Liberty Kids Boston Tea Party cartoon before you go. One of the things that makes Boston so family friendly is the abundance of parks and green spaces throughout the city. These are some of my favorites. Public Garden is the first public botanical garden in America. Built on what were once mudflats, you can now take swan boat rides on a beautiful lagoon and explore hundreds of plant species. Getting its start as the community cow pasture that lasted for nearly 200 years, this park has been around since 1634 and is America’s oldest public park. The park has a long history and has hosted the likes of Martin Luther King Jr. and anti-war demonstrations. Children can have a place to run and parents a place to relax on this 50 acres right in the city center. Here you will find a carousel, playground and Frog Pond, which transforms into a skating rink in the winter months. Boston Common is a great place to go to take a break from the hustle and bustle of the city. 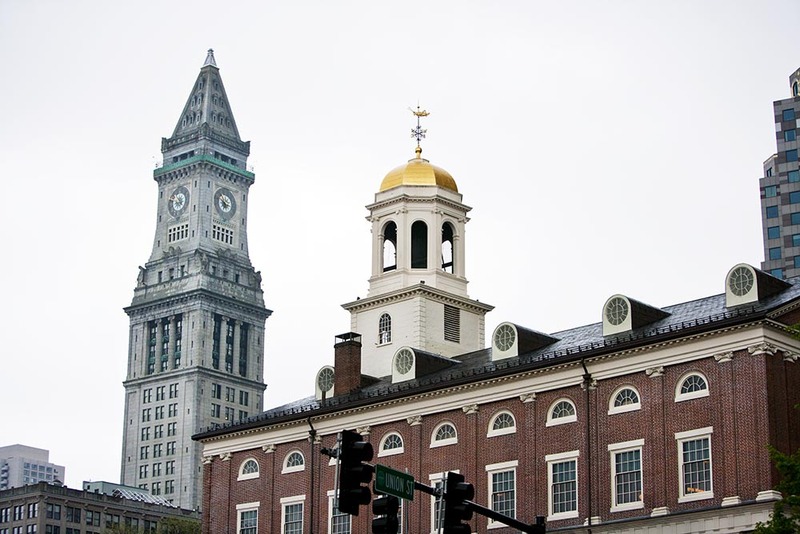 Quincy Market is Boston’s first market and is located along the Freedom Trail. It’s a great place to stop and grab a meal. It offers 36 international food vendors, from smoothies to lobster rolls to mac & cheese, there is sure to be something for everyone. The USS Constitution, is the oldest commissioned warship afloat in the world. Known as “Old Ironsides” and built in 1797, she fought in the war of 1812 where she earned her nickname because she seemed to have iron sides that cannonballs could not penetrate! Kids will love immersing themselves into 19th-century naval warfare and learning how sailors lived. Just a few steps away, Bunker Hill Monument marks the site of the first major battle of the American Revolution. Due to its location along the coast, Boston has a long marine history. This makes it a great place to eat seafood and also to learn about sea animals! Famous for its penguins and the 80-year-old sea turtle named Myrtle who weighs over 500 pounds, the New England Aquarium is one of my favorite things to do in Boston with kids. Parents, children, and even teens love learning about hundreds of varieties of sea creatures, holding sea stars and hermit crabs in the touch tank, and the live animal presentations. The schedule, pricing, and more information can be found here. Take a Lobster Tour through Boston Harbor and the Harbor Islands to learn all about this famous sea creature. Kids can pull up lobster pots and it’s all very exciting! From March to October, you can take whale watching tours from Central Wharf and watch humpbacks, pilot, minke and finback whales, dolphins and seabirds at the Stellwagen Bank Marine Sanctuary. 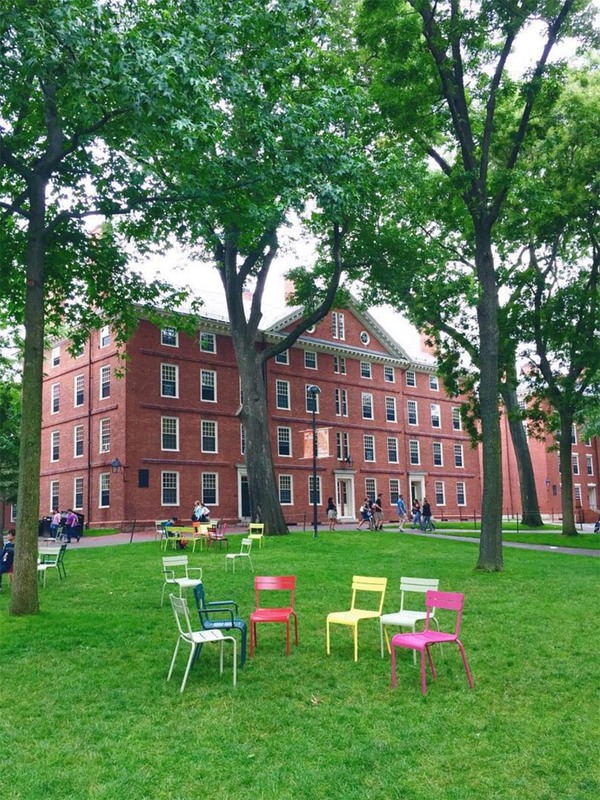 Wander this famous ivy league campus and bask in the IQ level and history surrounding you. The architecture is lovely and the atmosphere is great. Mr. Bartley’s Gourmet Burgers: These fun celebrity-named burgers are delicious and just across the street from Harvard University. Al’s: This is the best Boston sandwich shop around! They make their bread fresh daily and close when they run out. Mike’s Pastry: If you’re into cannoli, THIS is the place! These cream filled delicacies are worth the hour-long wait out the door! Go early. 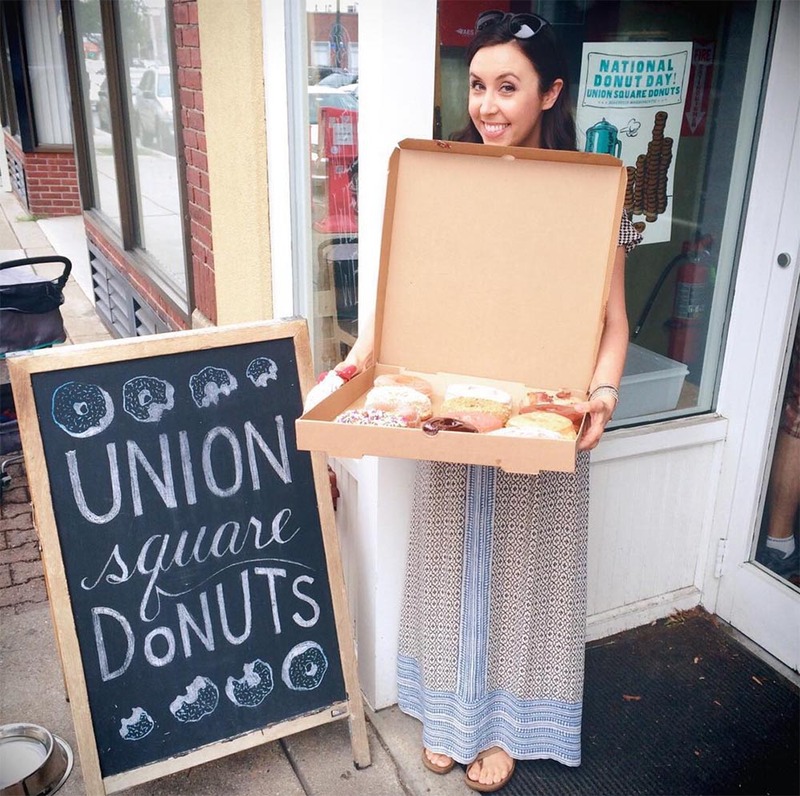 Union Square Doughnuts: I’ve eaten doughnuts all over the world…I wish I was joking…and these are my FAVORITES! Maple bacon, peanut butter and jelly, Belgian dark chocolate…the flavor list goes on, but they are all amazing! Neptune Oyster: THIS is where you’ll go for your Boston Lobster Roll! It’s a classic and Neptune’s does it best! Check out the best desserts in Boston here. Getting around Boston is fairly easy. It’s not a huge city, but driving can be tricky, due to old and narrow streets. The best thing to do other than walking is to take the subway, also known as the “T.” You can get a “Charlie Card” to ride around town. Boston is a great place to go with families to enjoy history and culture, and to find natural and educational gems all throughout the city.